old skool radio for me tonight. Nigels Tackle wrote: old skool radio for me tonight. Old skool reading ManCityFans for updates for me, pre-booked a Chinese Banquet with friends so will have a peak every now and then. What?! Have all the rivers run dry? Big game, need a big performance and result. Come on City. harveytravis wrote: What?! Have all the rivers run dry? There's a 30 minute highlight slot at 2330 hrs on Sky so there'll be rivers running. As always, an interesting line up. Glad to see Bernado and Sane in the line up. CTID Hants wrote: Your line-up for #EVEMCI tonight! not happy that KDB on the bench.......get the goals then pull him..cant stand Pep not understanding the importance of some games. Laporte trusted to deal with Walcott’s pace. Mendy not even on the bench. Kevin kept back for Sunday although he might come on. 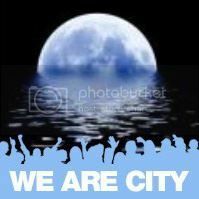 Come on City! Trepidation as normal - his team against Newcastle was my first pick too but look what happened - so I'll shut up. get yerselves dazn.com and a vpn from BRD , sorted , even other sports and all CL games to choose from 15 euros a month . cheap. blues2win wrote: Laporte trusted to deal with Walcott’s pace. Mendy not even on the bench. Kevin kept back for Sunday although he might come on. Come on City! Erm keV doesn't deserve to start... He's not being rested ! What station can i find it on? Will need to go radio online i think so full name would be handy.